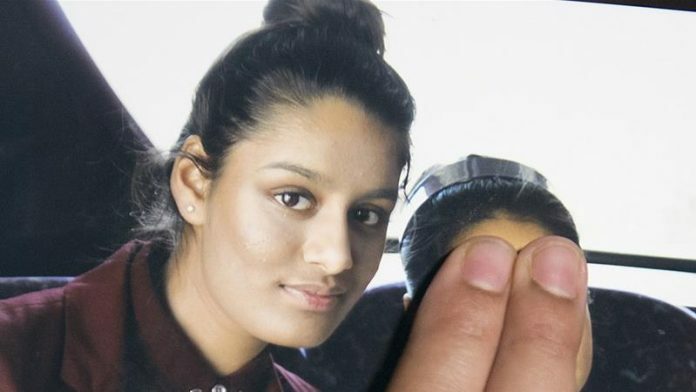 The lawyer of Shamima Begum, a UK teenager who travelled to ISIL-controlled territory in Syria, says he was stopped by US-backed Kurdish forces from reaching his client, a move hampering efforts to appeal the British government’s decision to revoke her citizenship. Tasnime Akunjee travelled to the al-Roj camp in northern Syria earlier this week to get Begum’s instructions and signature to launch the appeal process against British Home Secretary Sajid Javid’s controversial move. “Begum doesn’t know the details of the law around her citizenship being stripped. She doesn’t know that she has a right of appeal to that,” Akunjee told Al Jazeera on Sunday. “I was seeking to give her advice and the paperwork for the appeal process which ends within 28 of the decision and runs out on Tuesday,” he added. Now 19, Begum left her home in east London to join the Islamic State of Iraq and the Levant (ISIL or ISIS) in 2015. She was found last month at a camp held by the Syrian Democratic Forces (SDF), a Kurdish-led group fighting ISIL. Before Akunjee’s arrival at the camp, several journalists had previously entered the site to interview a heavily-pregnant Begum, who appealed last month to be allowed to return home. But Akunjee said that the SDF’s orders to those guarding the camps had recently changed. “I was briefly detained by SDF guards who told me their orders were that no one was allowed to get in or out of any of the camps,” said Akunjee, adding that he also spoke to the forces’ foreign relations officer and an intelligence official in charge of the camp. “The SDF intelligence officer informed me that he was sympathetic and attempted to ring his superiors to see whether an exception could be made,” said Akunjee, who added that he was still unable to reach Begum. Javid, the British home secretary, notified Begum’s parents of his decision to revoke her citizenship on February 19. British media reported that the action was taken on the grounds that she could obtain another passport because of her Bangladeshi heritage. While Begum’s parents are of Bangladeshi origin, she does not hold a Bangladeshi passport. Akunjee is eager to challenge the move, which has been criticised by legal experts who say it leaves Begum stateless. Javid’s decision faced mounting criticism since Begum’s son, Jarrah, died earlier this month at the camp, only three weeks after being born. Reports at the time said the infant had been suffering from breathing difficulties.